While we are still getting peppered with snow flurries here in Boston, proof that spring is nearly here is right outside my window. Flowers are starting to shoot up, the gray is slowly but surely dissipating, and the bitter cold is fading fast. With spring's cool weather and sporadic showers comes the inevitable rainbow. 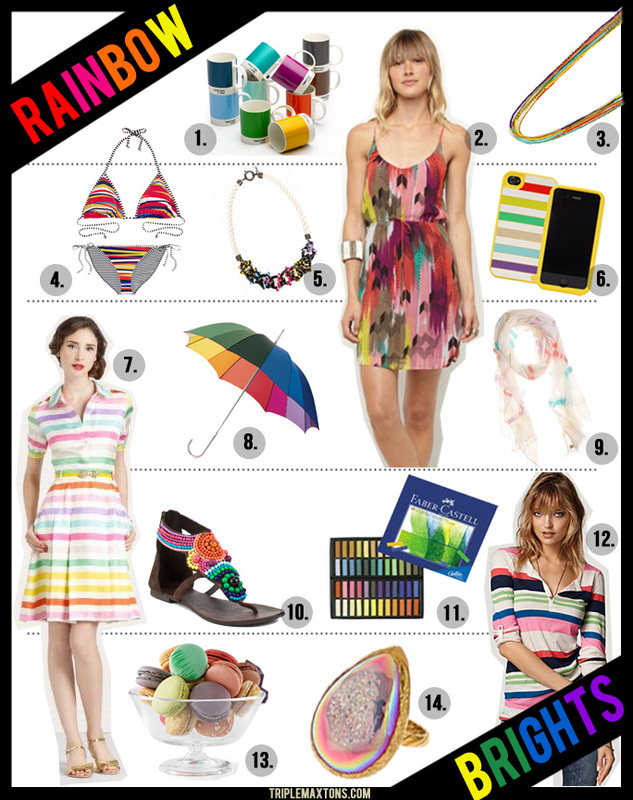 Inspired by the cheerfulness that this colorful arch in the sky brings, I put together a fun board full of variegated essentials for spring worth their weight in gold. Im loving the coffee mugs! Love the bright colours in this montage, inspires happiness! All so pretty, I love these graphics you're making!